You can’t make everybody happy. If you loved Tame Impala‘s Innerspeaker, you didn’t love Lonerism and vice versa. 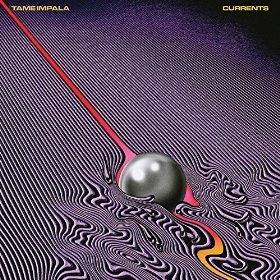 Currents, Kevin Parker’s latest inner thoughts set to sound, is not going to win over either camp. Parker doesn’t necessarily care; he is here for his art, his storytelling through music. “Second guessing and doubt and hesitation are such inhibitors, ” he said in his AMA reddit. Clearly he is ready to see where his muse leads him, damn the naysayers. The opening track, “Let It Happen,” is an eight minute opus to every pedal, loop, and reverb possible for a mid-tempo disco dance off. It is insanely catchy and sets the standard for the album in that you don’t know what is coming. This LP goes from sleepy spoken word R&B (“Past Life”) to a guitar strumming, falsetto Prince channel (“‘Cause I’m a Man”), ending with a softly crooned 80’s synth ballad (“New Person, Same Old Mistakes”). When an artist chances his arm because this is where his muse tells him he must go – that’s admirable. It may or may not win new fans, but that is not really Parker’s goal. It will be interesting to see where his muse takes him after this – electronica has so many lovely beats, after all.